“Founding of the Society for a More Beautiful National Capital,” Histories of the National Mall, accessed April 22, 2019, http://mallhistory.org/items/show/438. 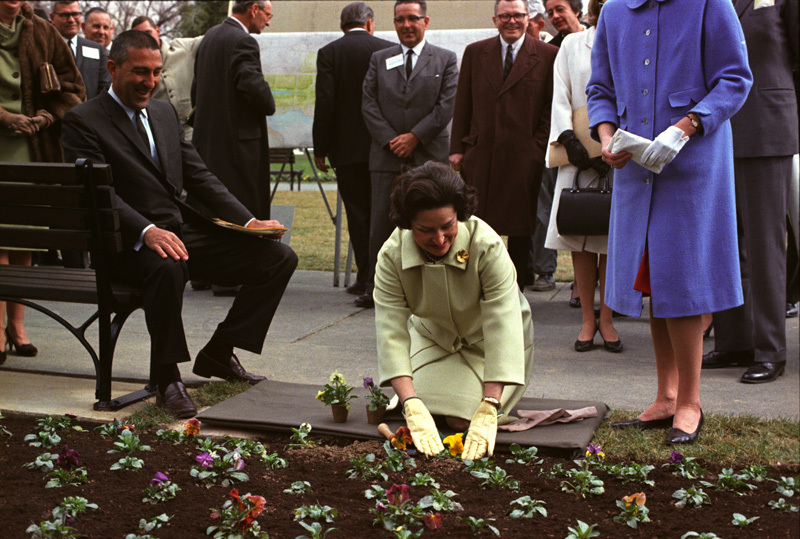 First Lady Lady Bird Johnson was a conservationist and lover of nature. She believed that the environment could help shape people's lives by improving their health and attitudes. In 1964, she established the Society for a More Beautiful National Capital to improve neighborhoods and tourist attractions in Washington, DC. Her projects centered around trash cleanup, building renovation, and planting flowers. She hoped that Washington would become an example to the rest of the cities of the country for the power of beautification. Lyndon Baines Johnson Presidential Library. View original.